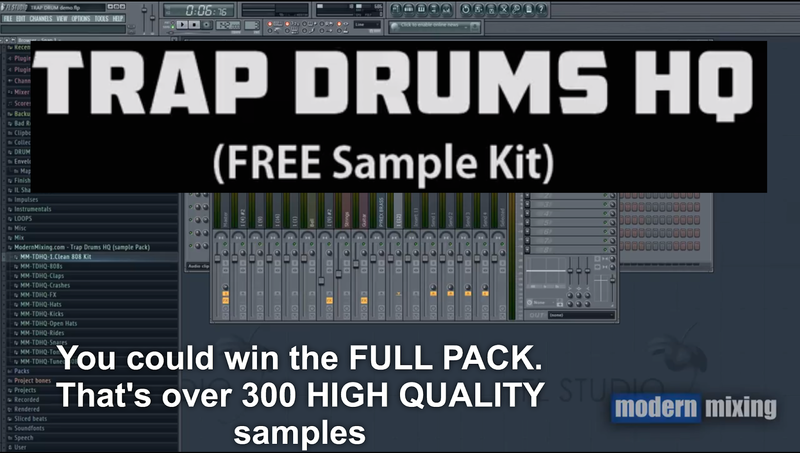 Freebie Fri.: FREE HQ Trap Drum Kit plus Youtube/SoundCloud Contest. ModernMixing.com is giving away a free high quality Trap Drum Kit and also offering a chance to win a kit that contains over 300 sounds. To enter the contest you first have to download the free kit (name and email required) and then post the link to a track you made with the free kit in the comments section on their Youtube page. "Trap Music is known for hard hitting drums and 808 basslines but a lot of the samples tend to sound harsh or tubby. I specifically went through every sound and tweaked them with EQ, Tape Emulation and a few other tools to get the cleanest, yet most aggressive sounds I possibly could......"
"These sounds were all recorded from analog gear into a pair of API 312 preamps. If you are familiar with API’s you know how wonderful the midrange is......"
I downloaded the kit and the sounds are of high quality with plenty of room to eq, compress,saturate or distort as you see fit. Get more info and download the FREE Trap Drums Samples Kit here.